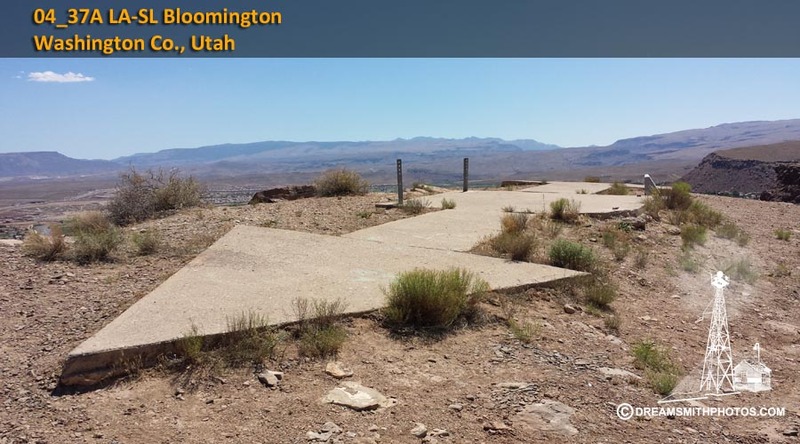 The Bloomington Arrow is located just west of I-15, on a bluff overlooking the freeway, in a residential area in the town of Bloomington, Utah. We parked in the residential area, at the bottom of the bluff. 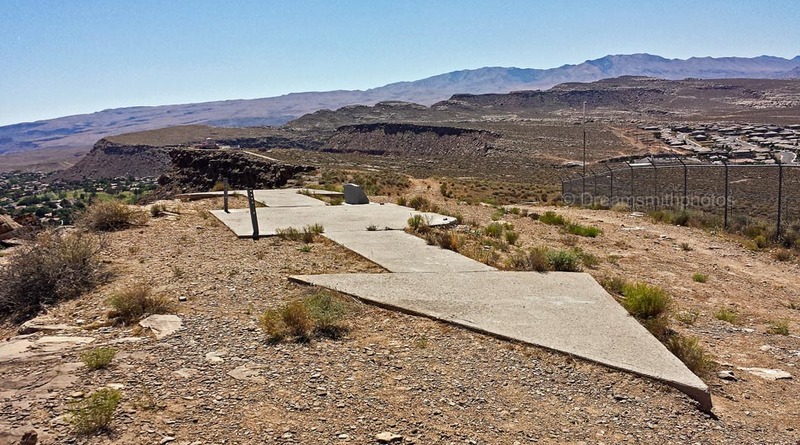 There were several trails leading from road up to the arrow. After about a 10-15 minute walk I reached the arrow. The arrow is complete and in good condition. 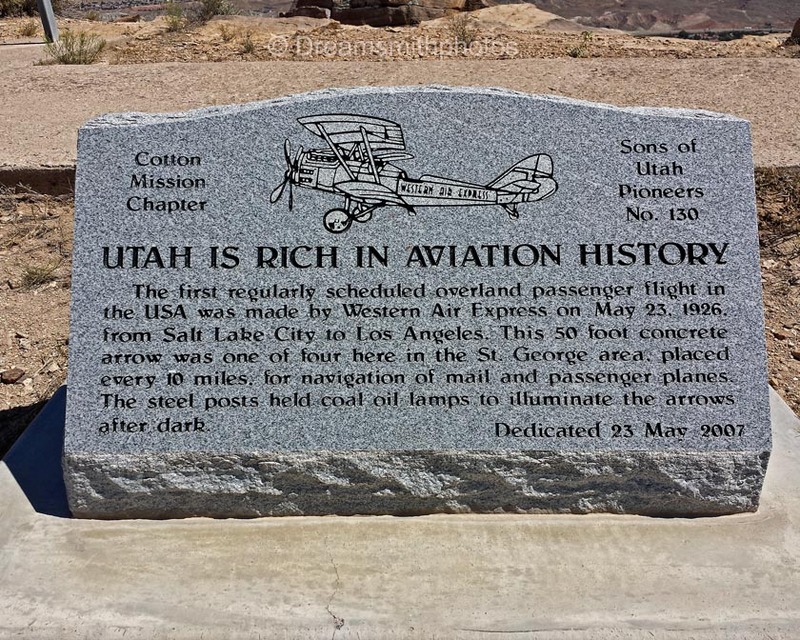 At the arrow site the ‘Sons of Utah Pioneers’ have erected a stone monument dedicated to the early aviation history in the State of Utah. 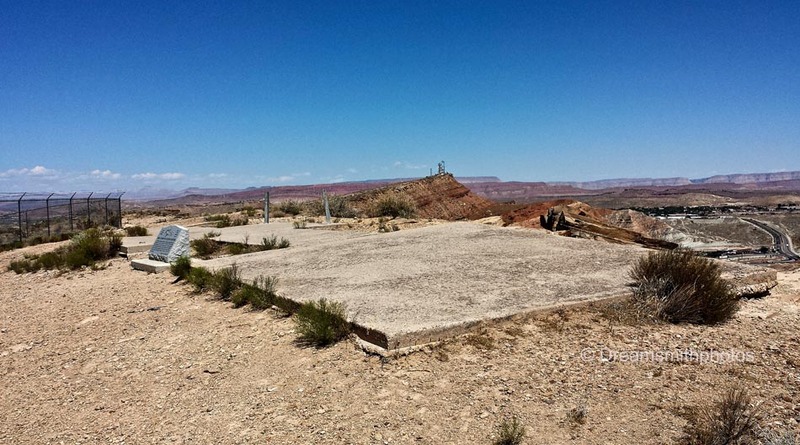 The arrow is 56 feet in length. The pilot would approach the tail of the arrow on a compass heading of 78° (E-NE), and then exit the arrow on a compass heading of 78° (E-NE).